Here students were asked to find things in nature that follow the golden ratio as well as look for the Fibonacci spiral and numbers. We have been learning about Patterns in Math class. One of the coolest patterns that exists is the Fibonacci sequence: 0, 1, 1, 2, 3, 5, 8, 13 , 21 etc. Here students learnt how to calculate the golden ratio (1.618) using the Fibonacci sequence. The calibers they made help to mesure the golden ratio. Making pumpkin pie from scratch using a French recipe. Harvesting vegetables from the North Arm Farm indoor to cook soup of the entire school. GOing deeper - Why is water sticky ? Going deeper ... students build 3D water molecule structures to understand the cohesive properties of water and how each molecule (H20: 2 hydrogen + charge and 1 oxygen - charge) bonds together. Science experiment: Why is water sticky? Hydrogen bonds and surface tension give water some amazing properties. Here students see how many drops of water fit on 5, 10 and 25 cent coins. How many drops of water do you think you could fit? There was only one way to find out… by adding one drop at a time! Click HERE to see all the learning that took place in this science experiment. In this simple memory game, students were encourage to work together, exploring mathematical patterns. Students from each group have four 15-second opportunities to look at and 'memorize' a printed sheet of related mathematical patterns. The groups then have to reproduce the information they've seen on the sheet for themselves. The principle behind the activity is that the sheet is easier to reproduce by using mathematical insight than by trying to remember the whole thing 'cold'. Students learnt about the tallest structures in the world and the structural engineering that goes behind building these amazing towers. Click here to see what students learnt. • Learning about clean energy empowers students to make informed choices and develop creative solutions to environmental challenges. • How are electric cars different from that of a gas-powered car? Which is better? For this project students selected an electric car and travelled in Canada to meet up with Oli from the French TV show ONIVA from Radio-Canada. Each team of students watched a different episode of ONIVA and found out where Oli was. They then had to travel with their electric car and visit Oli. Along the way, students used “chargehub.com” to find out where the charging stations were. Each electric car had a different range in kilometers so students needed to think critical about where they would recharge their vehicle. Students were given a budget depending on which province they were visiting. 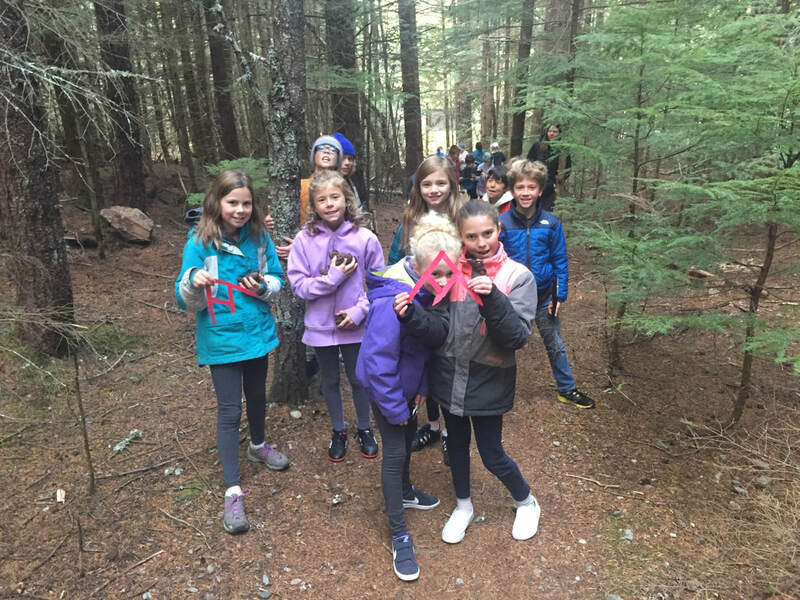 Students used math skills to determine where they needed to recharge, how much it would cost as well as where they would sleep, eat and what they would visit along the way. Throughout the project students explored the advantages and disadvantage of electric cars and compared them to gas-powered cars. A guest speaker was invited into the classroom to speak about EVs, renewable and non-renewable sources of energy and how energy is transferred. Finally, students build their own electric cars and converted them to solar powered cars. Today students took part in an IRON CHEF CHALLENGE. In groups, students collaborated and prepared a creative menu in French. The challenge was to cook their recipes using a small camping stove at Alpha park. In addition, students were given a secret ingredient which they needed to incorporate into their recipes. Our secret ingredient was BOKCHOY. Before our excursion, students watched two videos about what BOKCHOY is and how to cook with it. At the park, judges (parents) listened to each group present their menus in French and judges tasted the different recipes.